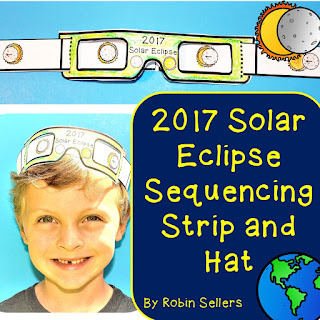 Solar Eclipse 2017* Meet your science standards with this solar eclipse 2017 sequencing strip craft which you can also use as a solar eclipse hat. This set will help you teach your students and children about the great American Eclipse on August 21, 2017. This solar eclipse resource contains 5 printable solar eclipse posters that illustrate First Contact, Second Contact, Totality, Third Contact, and Fourth Contact. There is also a safety poster for the eclipse viewing that tells students not to look directly into the sun. Next, your students are ready to work on their eclipse sequencing strip craft.